ST. GEORGE — Sen. Orrin Hatch is telling friends he’s planning to retire, according to a report by The Atlantic published Friday. However, Hatch’s office says that’s not the case. The Atlantic’s story cites five sources “familiar with the situation” that claim the 83-year-old Hatch will step down, making way for former Massachusetts Gov. Mitt Romney to step in and run for Hatch’s long-held senate seat in 2018. Similar claims were published by The Atlantic earlier this year. Nothing has changed since The Atlantic published a carbon copy of this same story in April, likely with the same anonymous sources who were no more informed on the senator’s thinking than they seem to be now. Senator Hatch is focused on leading the Senate’s efforts to pass historic tax reform, confirming strong judges to courts around the country and continuing to fight through the gridlock to deliver results for Utah. He has not made a final decision about whether or not to seek reelection, but plans to by the end of the year. Anonymous sources told The Atlantic that plans for Hatch’s alleged retirement and Romney’s pending move into a senate race have already been set in motion. The timing of the announcements just haven’t been finalized yet. “They spoke on condition of anonymity, because the plans are not yet public and the subject is sensitive to Hatch,” the article states. Romney has been asked by others to run for Senate should Hatch retire. Among those voices have been Senate Majority Leader Mitch McConnell and former Vice President Joe Biden. 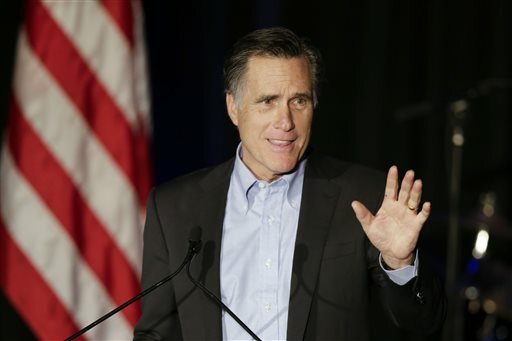 The 70-year-old Romney is popular in Utah where he is highlighted as the man who led a turnaround of the scandal-plagued 2002 Salt Lake City Olympics and as a prominent Mormon businessman and politician in the state that is home to The Church of Jesus Christ of Latter-day Saints. Hatch told Fox 13 News in April that if he chose to retire, the one person he would like to see succeed him would be Romney. Others who have expressed interest in running for Hatch’s seat include Republican Congressman Chris Stewart and Boyd Matheson, the head of Sutherland Institute. While Stewart said a run for Senate would be conditional on Hatch’s stepping down, Matheson plans to run regardless. A senate run by Matheson has the likelihood of being backed by former White House chief strategist and Brietbart News executive chairman Steve Bannon. Bannon told Fox News earlier this month that he is a part of a movement that is recruiting candidates to challenge incumbent GOP senators. The overall goal is replace establishment Republicans (Hatch among them) with anti-establishment candidates. The infusion of new blood is anticipated to tear down congressional gridlock and lead to a streamlining of some senatorial processes. Hatch, who has served in the Senate since 1977, has said that his health, as well as that of his wife, may be the deciding factor on whether to run again. So much for the “young-uns”. They probably have no clue what they are whining about so I guess we ignore them like barking dogs, squeaking wheels, or flickering light bulbs. The ‘young-uns’ don’t seem to have it, either. Look at Jason Chaffetz. I’d hate to have to follow him up I 15 because he would be constantly changing lanes. Then he pulls a ‘Sarah Palin’ (leaving office) and goes to work for Fox News. Still enough is enough. If Hatch runs again, I’m thinking he will lose. Hard to leave when you’ve been wined and dined by lobbyists and big corporations for so long. Recently $177,000 from opioids manufacturers straight to Hatch’s pocket for maintaining deterrents in legislation against the DEA. Hard to beat that! You got it. Major power trip for many years. Son and other relatives and acquaintances having great jobs being close to a powerful Senator. Believes his own PR blurbs — thinks he is irreplaceable and doing wonderful things. If you can show evidence to support your claim, do it now. Otherwise accept the label “damned liar”. I think it’s time for hatch to go as well. I’ve voted for him in the past and always been satisfied with my vote but I will tell you all now that I’m not voting for mitt Romney I think he is a real back stabber. I’m going with the Bannon strategy and going with boyd matheson. If joe Biden is wanting Romney to run there going to turn our state blue. Theses are important times to taking our country back.